As with choosing the right ceiling light, you need to consider the style of your room, and the finish you would like the lamp in Chrome, Brass Antique, Wood, Black, White? there are many to choose from. 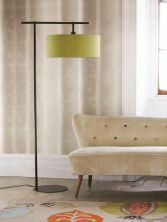 Do you want the table/floor lamp to be a statement piece to stand out in the room, or to blend in with the décor? Do you want it to match your ceiling light, or to be a standalone piece? Is your lamp for reading purposes? If so you may want to consider an anglepoise lamp, these have flexible arms to direct the light. There are many to choose from with different colour fabric shades, or glass and crystal shades. 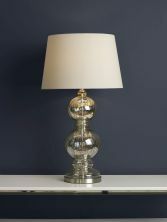 Adding a table or floor lamp can help create the perfect atmosphere in a room.